Developer : CONTENT ARCADE (UK) LTD.
- Issues fixing & Performance enhancements. Have you been looking for a fertility calculator app, ovulation calculator app and period tracker app, all in one? You’ve just got one! 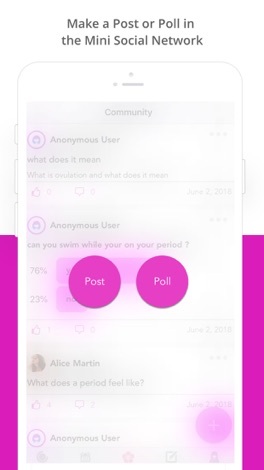 Period Tracker : Ovulation App is a conception calculator, fertility calculator or simple period tracker app, whatever you may call it. 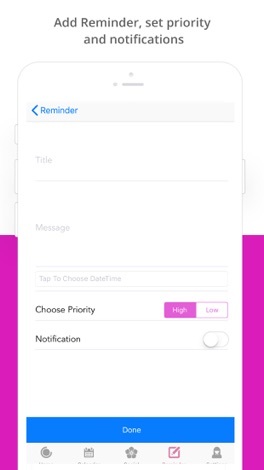 It uses highly efficient algorithms and data for ovulation calculation, working as a menstrual cycle tracker to find out unique patterns in your menstrual cycle. It will be your period diary and a period calculator that will remind you of your period, ovulation and fertility. 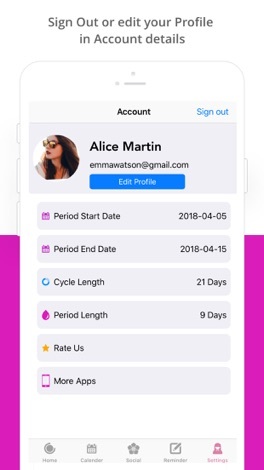 Period Tracker : Ovulation App has been designed effortlessly and beautifully, unlike many fertility tracker, ovulation tracker or period tracker app. If you have an irregular menstrual cycle pattern, the app will help you view past and predict next period date, fertility, and ovulation day. If “when do I ovulate” is one of the questions that bother you the most about your menstrual and ovulation cycle, then take a sigh of relief. We are helping you with a free ovulation tracker, period diary, and fertility calculator app. 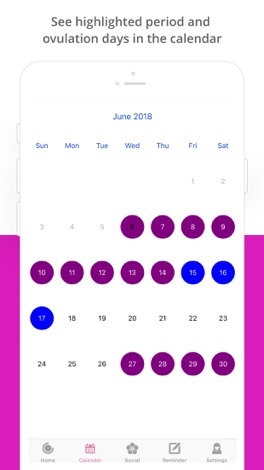 One of the promising features of the app is that it also works as fertility calendar that shows exact ovulation dates or fertility days. Want to keep track of your menstrual cycle? Then download this free period calendar or fertility calendar now. It is a period calculator that tracks your period, ovulation and probability of conception while also working as a free period diary. It is handy for both women trying to birth control and those trying to conceive. 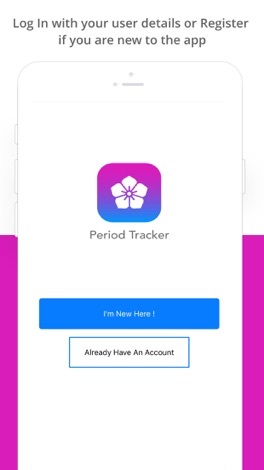 Download and install Period Tracker : Ovulation App on iOS device NOW! 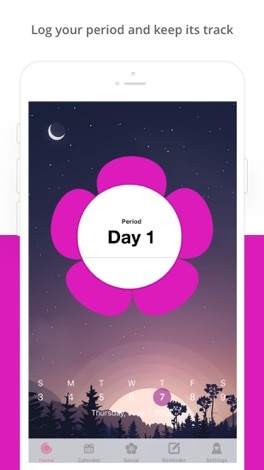 Download this Period Tracker : Ovulation App and join millions of girls and women who trust this app to predict their cycles and ovulation accurately. If you find this app helpful then rate us and provide us with your review. Your feedback and rating are valuable to us for improving this app. 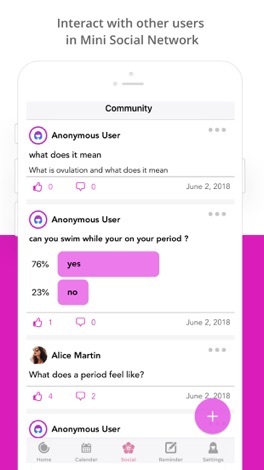 Thank you for downloading and using the Period Tracker : Ovulation App. More by CONTENT ARCADE (UK) LTD.